Hello, and welcome to Day 83 in our #DisneyWorldCountdown! 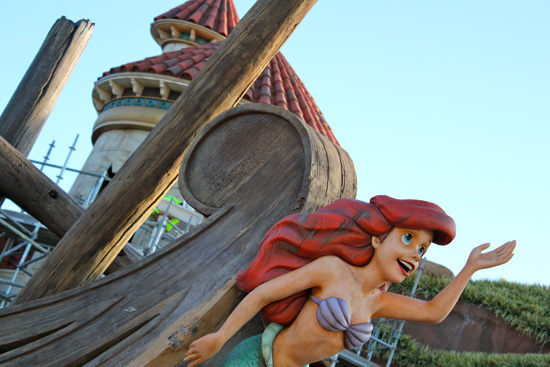 Today we are taking a look at one of the new attractions in the New Fantasyland section, and that’s the Journey of the Little Mermaid! This ride is similar in nature to the Seas with Nemo and Friends, but the theming of course is based on the Little Mermaid. 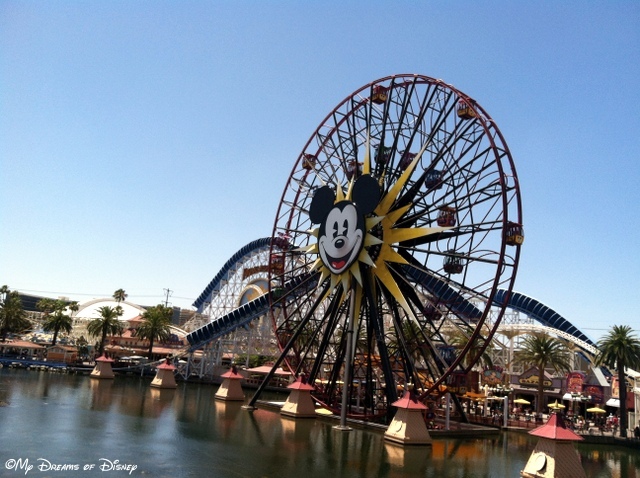 If you have been to Disneyland, you will find that the ride itself is identical to the Journey of the Little Mermaid to be found in the Paradise Pier section of California Adventure, but the queue for the attractions are vastly different. 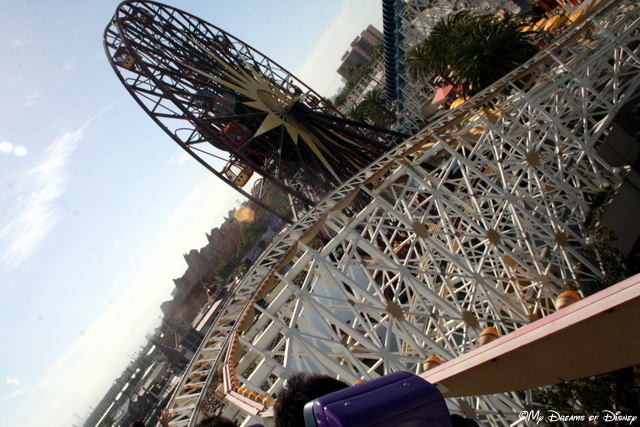 Because of that, I think that the Walt Disney World is a better overall attraction than the one at California Adventure. 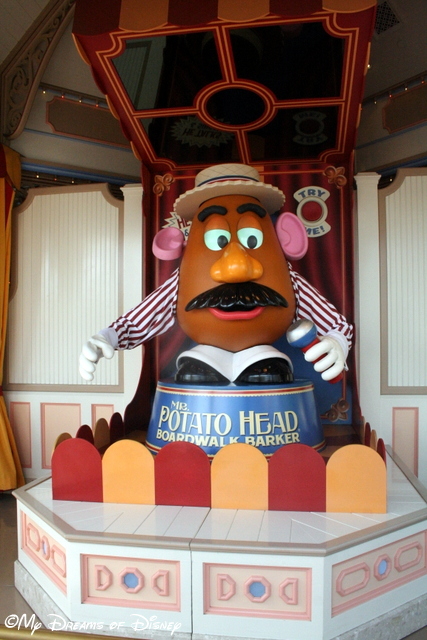 Of course, simple because this is a new attraction at Walt Disney World makes it a popular attraction, and it’s not uncommon for the wait times to be be greater than 30 minutes. When I wrote this post yesterday in preparation for today, the wait time was at 45 minutes. That’s not terrible by any stretch, but it’s not short either. What do you and your family think of the Journey of the Little Mermaid? Have you been able to check it out yet, or will you be doing so soon? Let me know in the comments please, and thanks for stopping by! Nothing speaks more to me than Main Street, U.S.A. at night! Hello everyone, and welcome to this week’s #RidingtheRails series, which is hosted each week over at The Magical Blogorail website! If you have a Disney blog, I urge you to take a look each week at the week-in-review to find out what this week’s topic is, and then write a post to fit that theme and join in! It’s a lot of fun, you see when you join in! For those of you coming today to my site, thank you for stopping by! I think my favorite part of a Disney Day is when we are at the Disney parks and it’s night — whether it be during Extra Magic Hours or not! I have had so many memories, and so many special photos, created during that time that I had the hardest time limiting myself to these photos! I’ll apologize in advance for the length and the number of photos, but I love them all, and truly hope you enjoy them! 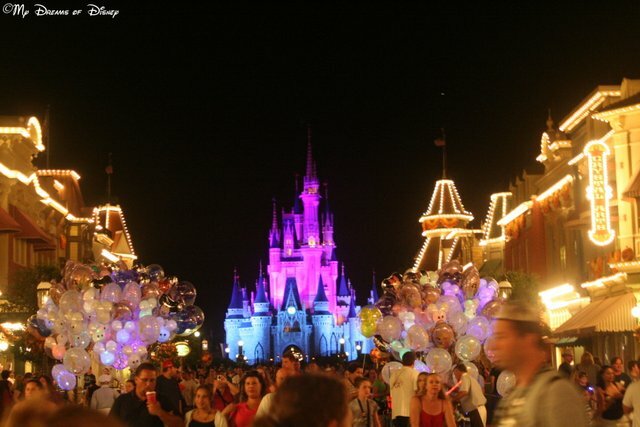 As you can see, the first photo I’m sharing is of Main Street, U.S.A., with Cinderella Castle in the background. I don’t know about you, but there is just something perfect about being on Main Street during the night, especially with all the lights! 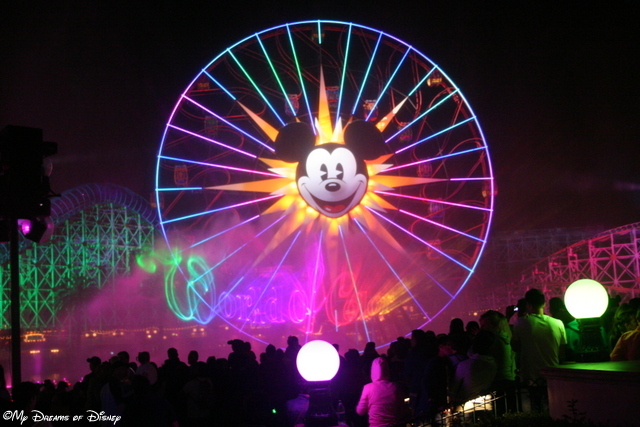 Mickey’s Fun Wheel at Paradise Pier is a great thing to photograph at night! 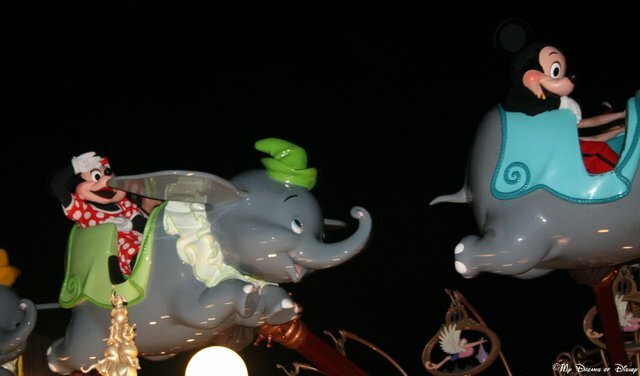 Extra Magic Hours can bring truly bring out the extra Magic, such as when we saw Mickey & Minnie on Dumbo! 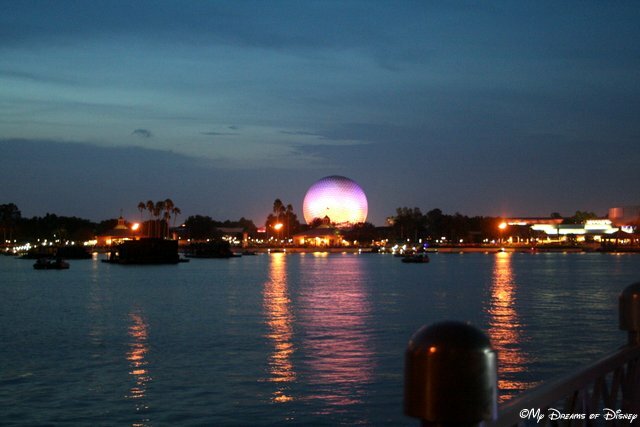 The World Showcase at night, or even dusk as here, is a great place to visit! 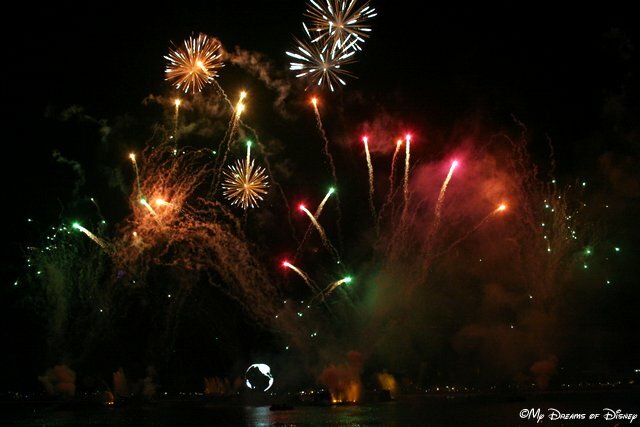 Illuminations: Reflections of Earth — this incredible show lights up World Showcase Lagoon! 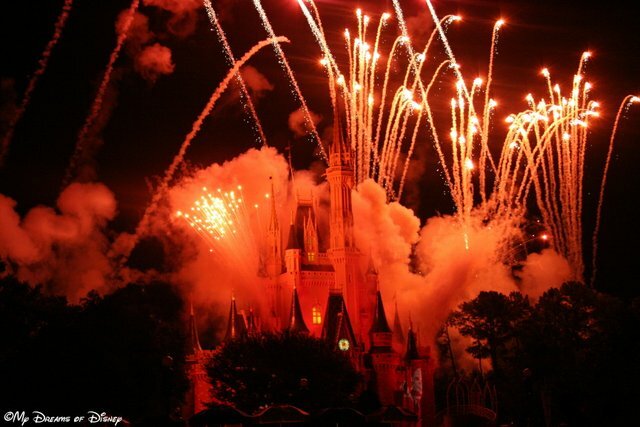 Of course, Wishes — or, in this case, the Summer Nightastic Fireworks Show — isn’t too bad either! 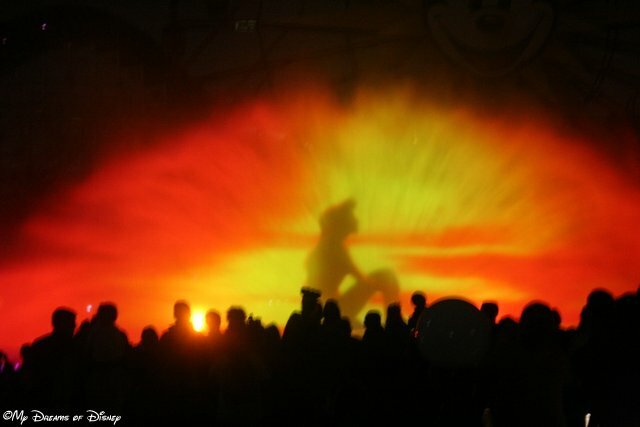 Here is Ariel, part of the incredible World of Color light, water, laser, and fire show! 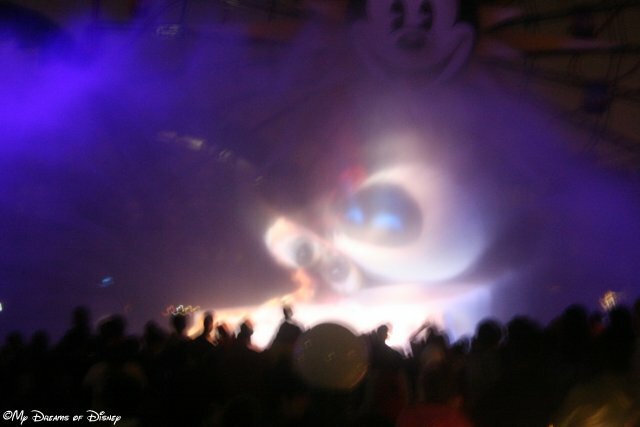 Here is Eve and Wall-E, also part of the World of Color show! Such an incredible show, I hope they bring it to Walt Disney World! 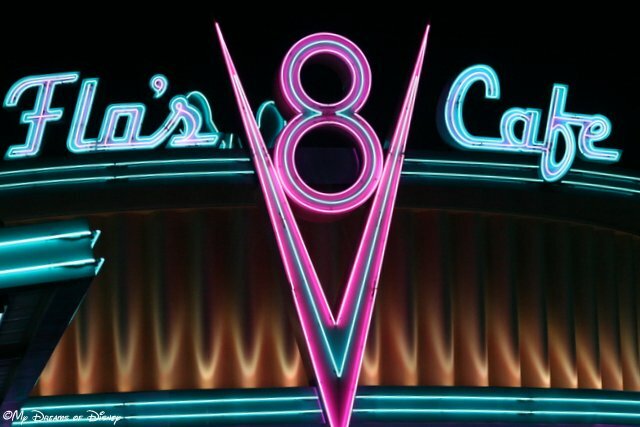 Flo’s V-8 Cafe is just part of Cars Land, and seeing it at night was everything I wanted it to be and more! 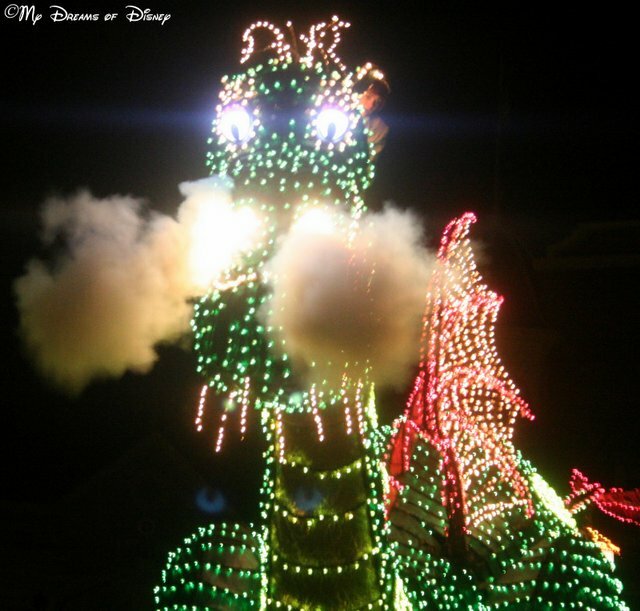 The Main Street Electrical Parade is one of my favorites! Here is Elliott and Pete from Pete’s Dragon! 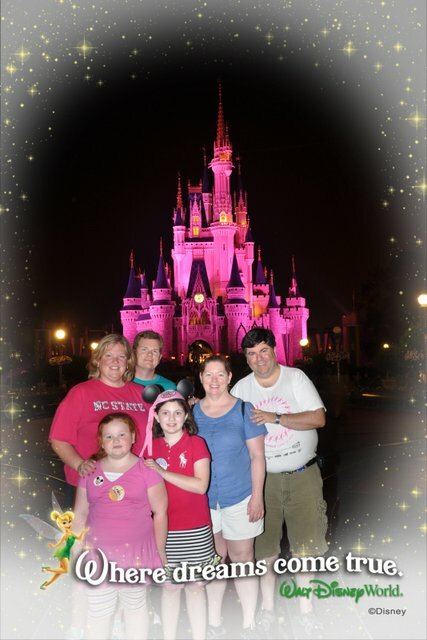 Otis, Nancy, Anna Jane, Cindy, Sophie, and myself — this was our first night at Walt Disney World in 2011! 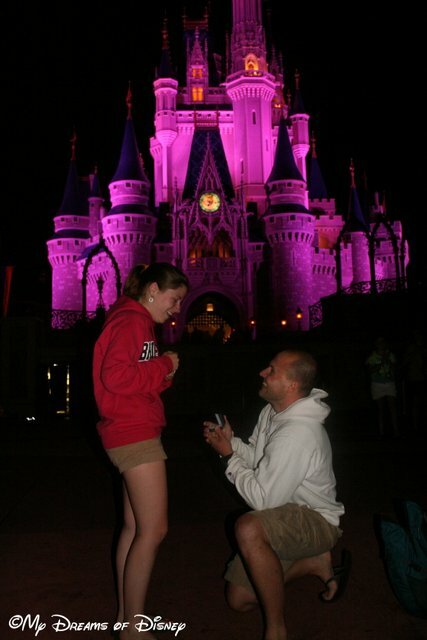 Of course, my most Magical memory is the honor of being there when my niece Stephanie was proposed to by her husband, Shane! As I said, visiting Walt Disney World, Disneyland, California Adventure, or any other Disney park at night is absolutely my favorite time to visit! It’s been my pleasure to share my photos with you today, but now I’ve got a question for you. 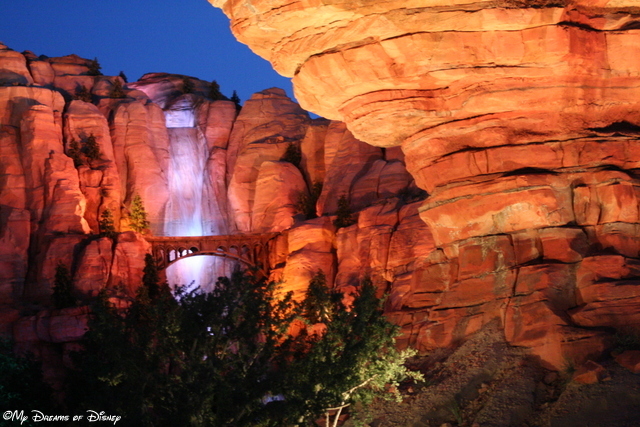 What is your favorite Disney memory that took place at night? Please share it in the comments, and thanks for stopping by! Please click on the image below to head over and read the rest of the entries, and thanks everyone! 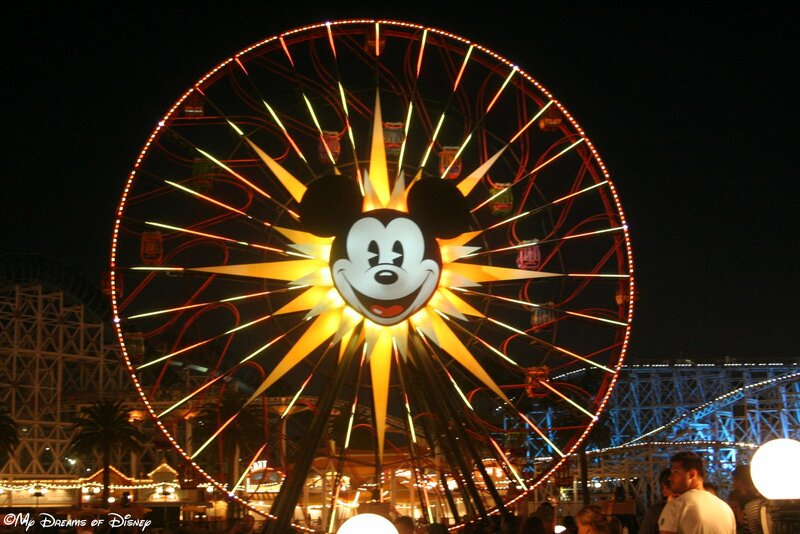 Located in Paradise Pier, Mickey’s Fun Wheel is one of the iconic structures at Disney’s California Adventure Park! Each of these lands have something special — or in many cases, many special things — to share with you, the Guests, and we’ll do our best to share with you what each land has to offer based on our trip back in June of last year. Stay tuned, everyone, because there will be some great things you won’t want to miss out on! 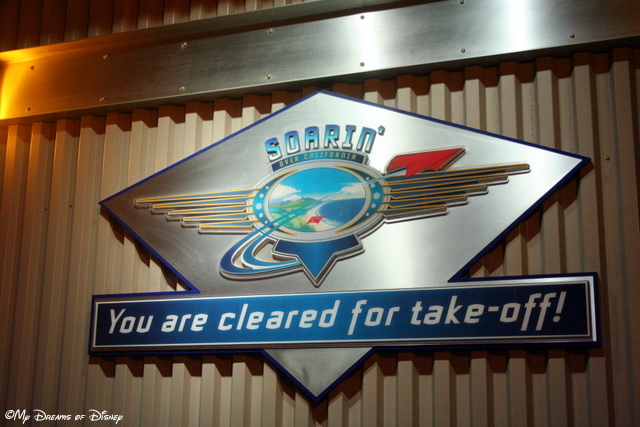 Starting us off will be Condor Flats, home of Soarin’ Over California! 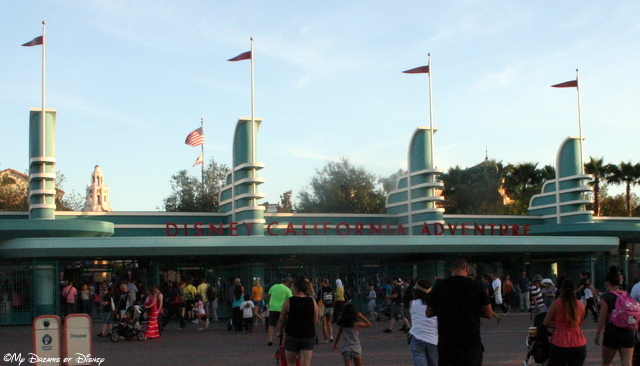 Tell me, if you’ve been to California Adventure park, what was your favorite land there? 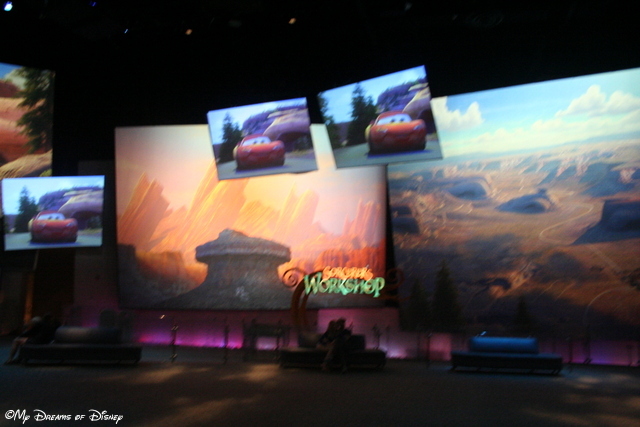 Favorite attraction? Favorite show? Let us know in the comments, and thank you for stopping by! Now, go out and make today and every day a great Disney Day!